Over-reaching is when the toe of the back foot hits the heel bulbs of the front foot. Forging is when the toe of the back foot hits the bottom of the front foot. Both cause an interruption to the horse’s cadence and cause shoes to be pulled during work, and also causes injury and pain to the horse. Both are caused by imbalance in the bottom of the hoof. OK that is all pretty easy to determine, but why is it so common? The answer lies in one or more of a variety of reasons. Often we don’t pare out enough sole in front of the hoof to find the true junction of the clean sole and the hoof wall at the toe, so we don’t trim the toe down short enough or reduce the flaring in the hoof wall after preparing it at the appropriate level for shoe fitting. 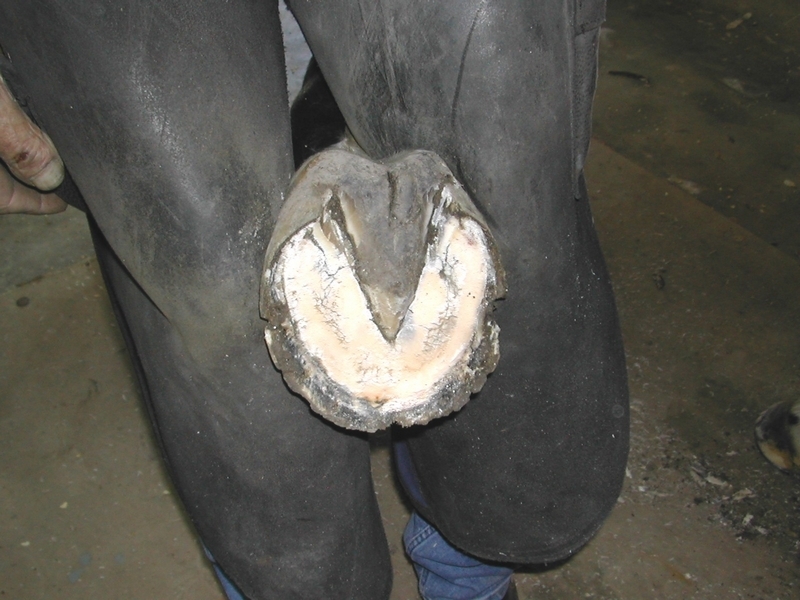 This causes an imbalance in the front half of the hoof which delays the break over and causes forging and over-reaching. The level of the bearing surface of the hoof wall for shoe preparation should be one to two millimetres above the clean sole white line hoof wall junction. If you allow the horse to stand on that trimmed hoof for a matter of minutes, you will notice when you lift it again that it has very often moved out of level, or as I refer to this movement, that it has settled into its new position. So before fitting the shoe, we must re-check both the level and the balance in the hoof, and adjust according to this movement to achieve a level balanced hoof. In most cases, the natural shape of the coronary band will be a guide as to the ground surface of the correctly prepared hoof. Front feet should be round or slightly oval, hind feet should be diamond shaped with no heel flares. When the sole of the hoof is prepared correctly, 99% of the time the white line will copy the shape of the coronary band, and yet too often we still allow the toe capsule to be thicker and cause an elongated shape in the bottom of the hoof. 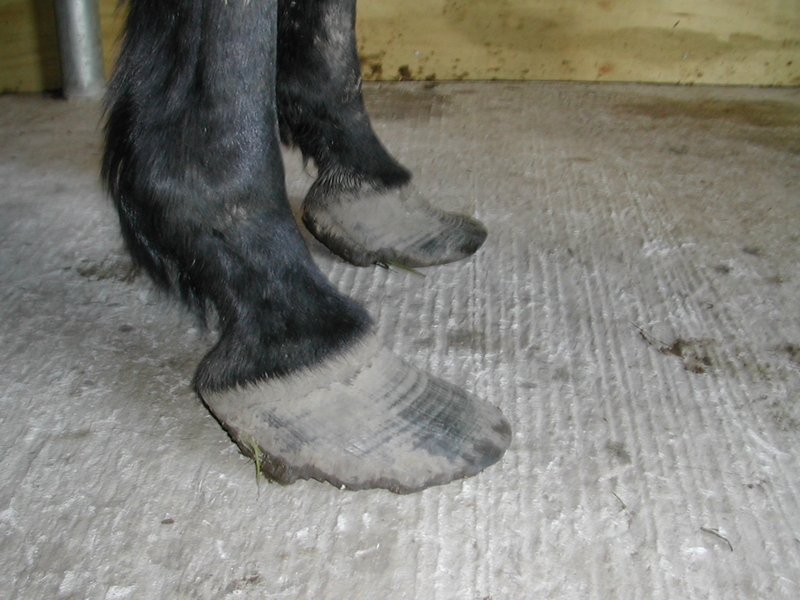 This will be recognised as long toe causing low heel syndrome and a pointed shape to the front hoof. This should always be corrected. 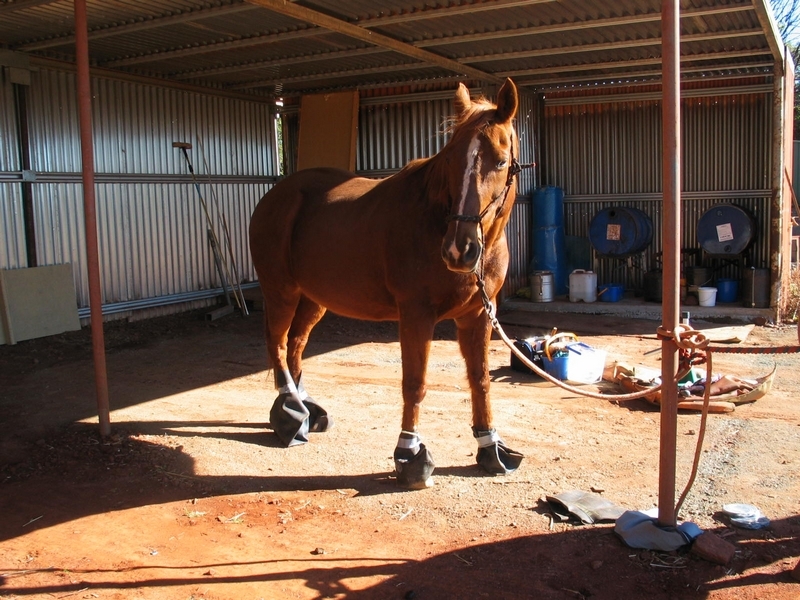 Often we simply fit rolled or squared toed shoes to correct the problem, however the real resolution may well have been to simply balance the hoof correctly. We can often overlook the geometric angle of the front of the hoof. It is the front of the hoof which causes so many problems in the heel, because the long toe will cause excessive pressure at the heel. Think about this – If a hoof wall grows DOWN one millimetre at the toe, it increases two millimetres OUT at the front, so multiplying this, two millimetres excess toe means four millimetres distortion in the hoof, and three millimetres means a massive six millimetre toe distortion. (Pic 1) In some horses this ratio doubles and trebles much quicker, depending on the strength of the hoof wall and the angle of the pastern – a chestnut with soft feet will have a much greater and quicker distortion. Most horses’ soles can be taken down to the clean waxy surface at the junction of the hoof wall and sole. It is OK to go down to the bottom of the fissure cracks, but no further (Pic 2). But this has to begin at the junction of the live sole and the clean frog to achieve the necessary concavity in the sole. We must understand that as the hoof loads up and expands through frog or ground pressure, the concave sole also moves downwards, hence the need for sole concavity. If we trim the outer hoof wall low in an attempt to achieve levelness without first concaving the sole, we will end up with a flat footed horse, and a bruised sole. Too often the sole is not concaved because it is ‘too hard’. This is no excuse. 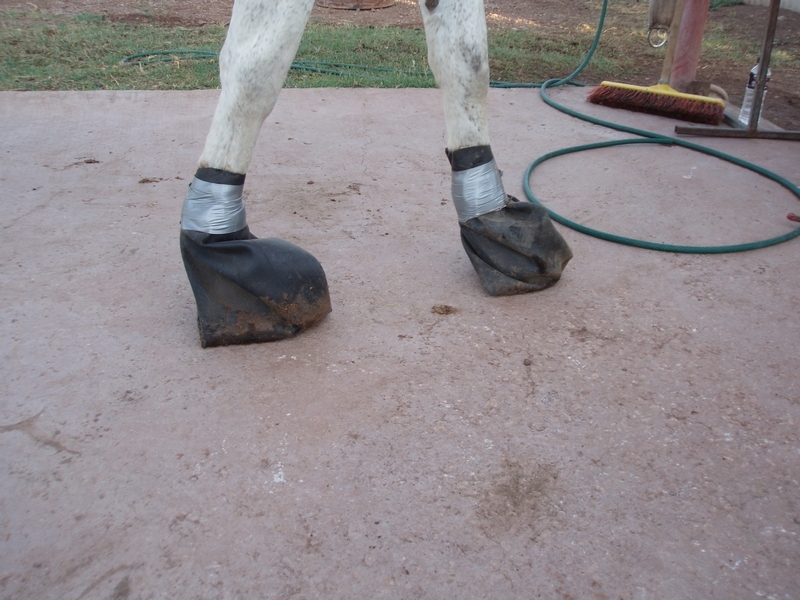 The resolution for hard soles is to use home made water boots (Pics 3 & 4) – slip a two foot length of car inner tube over the hoof half way up the fetlock, double it under the sole and up the rear of the pastern, fill with two cups of water, then tape around the fetlock with duct tape and leave preferable overnight, or even for two hours will make a huge difference. Also, use a sole chisel and composite hammer to remove the excess sole. One final point to note – when using blunt tools it is too easy to push too hard and make mistakes. Using a sharp rasp and getting into the habit of always using it lightly will minimise unnecessary mistakes.